Last week's challenge: This week's challenge is a spinoff of the on-air puzzle. Think of a well-known category with exactly 7 things in it. Alphabetize the things from their ending letters, and the last letter alphabetically will be E. In other words, no thing in this category ends in a letter after E in the alphabet. It's a category and set of 7 things that everyone knows. What is it? Winner: Haig Donabedian of Toledo, Ohio. If you know the answer to next week's challenge, submit it here. Listeners who submit correct answers win a chance to play the on-air puzzle. Important: Include a phone number where we can reach you Thursday, Sept. 22, at 3 p.m. ET. I'm Rachel Martin with some bittersweet news to share. Maybe you heard this. Maybe you haven't, but I am trading in my weekends of work for some very early mornings. I'm going to join Steve Inskeep and David Greene on the Morning Edition team. And I'm leaving WEEKEND EDITION in the ever-capable hands of Lulu Garcia-Navarro. I've still got two more months before I go, so again with feeling, it's time for the puzzle. MARTIN: I'm joined by the puzzle editor of The New York Times and WEEKEND EDITION's puzzlemaster Will Shortz. WILL SHORTZ, BYLINE: Good morning, Rachel. Say it's not true. MARTIN: I know. I'm sorry. Oh, it is seriously bittersweet, but I don't want - we're going to have a lot of time to say goodbye. MARTIN: And so I'm trying to stay focused on the present moment. So we will have our tearful puzzle, but this one, you know - we don't have to be sad yet. MARTIN: No tears yet. OK. With that, remind us of last week's challenge. SHORTZ: Yes. The challenge was think of a well-known category with exactly seven things in it. And I said if you alphabetize the things from there ending letters, the last letter alphabetically is e. In other words, nothing in this category ends in a letter after E in the alphabet. And I said it's a category and set of seven things that everyone knows. What is it? Well, the answer is continents. Six of them end in the letter A. Only Europe ends in E.
MARTIN: Very clever. Over 1,600 folks sent in the right answer this week, and our randomly selected winner is Haig Donabedian of Toledo, Ohio. He joins us on the line now. Haig, congratulations. HAIG DONABEDIAN: Thank you very much. MARTIN: How did you get the answer? DONABEDIAN: ...Which turned out to be quite variable. And then I noticed there were continents associated with the seas, and then it clicked that it was the continents, not the seas, that he wanted. MARTIN: A-ha (ph). Very well done. 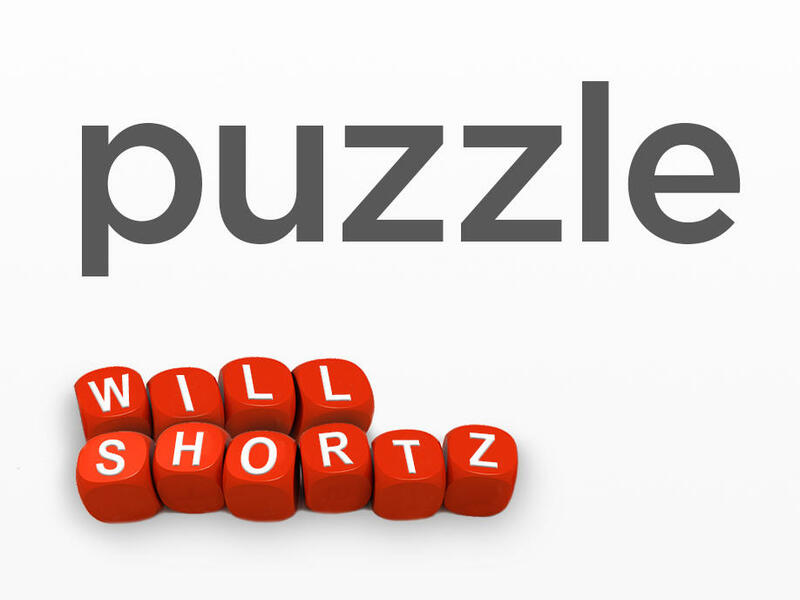 Well, this is your chance to ask Will Shortz a question if you happen to have one. DONABEDIAN: I've always wondered, Will, if - when you choose these puzzles, do you have in mind an optimal number of correct answers? So I know that once there were 15 correct. Is that too few? Is 1,500 too many? Do you care how many correct answers there are? MARTIN: That's a good question. SHORTZ: Great question. I try to vary it. So 15 is awfully low. If I stump everyone but 15 listeners, that's - wow, that's a tough puzzle. Every once in a while I like to throw in an easy one - you know, three or 4,000 solvers. SHORTZ: And maybe the ideal is between a thousand, 1,500. MARTIN: (Laughter) So - hey, are you ready to do this? MARTIN: All right. Let's play the puzzle, Will. SHORTZ: All right. Haig and Rachel, I'm going to give you three words starting with the letters S, E and P as in September. You give me a word that can precede each of mine to complete a familiar two word phrase. For example, if I'd said system, eclipse and power, you would say solar, as in solar system, solar eclipse and solar power. SHORTZ: All right. What word precedes space, entendre and parking? SHORTZ: Double - double-space, double entendre, double-parking. Number two is Sunday, egg, parade. SHORTZ: That is it. Sheep - S-H-E-E-P - sheep, eye and panther. DONABEDIAN: Shoe, elbow - bent? No. Elbow, pro. SHORTZ: And the blank elbow is an ailment. SHORTZ: Tennis shoe, tennis elbow, tennis pro. How about saddle, effect - E-F-F-E-C-T - and pocket. SHORTZ: Second, ends - E-N-D-S - and personality. SHORTZ: That's it. Strike, edition - that's E-D-I-T-I-O-N - and place. MARTIN: Oh, I was thinking second. SHORTZ: First strike, first edition, first place. Good. SHORTZ: Well, you know, that works, too. Try this - stocking, eve, present. SHORTZ: That's it. And your last one is sox - S-O-X - elephant and pages. SHORTZ: Haig, you are so good. MARTIN: You knocked those out of the park. DONABEDIAN: I was afraid I might. MARTIN: Oh, you did very well. Your puzzle expertise was on display. For playing the puzzle, you get a WEEKEND EDITION lapel pin and all kinds of puzzle books and games. MARTIN: And you can check your prizes out at npr.org/puzzle. And before we let you go, Haig, tell us where you hear us. What's your public radio station? MARTIN: Great. Haig Donabedian of Toledo, Ohio, thank you so much for playing the puzzle. It was great to meet you. SHORTZ: Yes. The challenge comes from listener Justine Tillie (ph) of Vancouver, British Columbia. Think of a familiar three-word phrase in the form blank and blank. Drop the and, then move the last word to the front to form a single word that means the opposite of the original phrase. And here's a hint. The word you end up with at the end has seven letters. What is it? So, again, a familiar three-word phrase in the form blank and blank. Drop the and, move the last word to the front, and you'll get a single word that means the opposite of the original phrase - seven letters. What is it? MARTIN: When you've got the answer, go to npr.org/puzzle and click on the Submit Your Answer link. Just one entry per person, please, and our deadline for those entries is Thursday, September 22 at 3 p.m. Eastern Time. Don't forget to include a phone number where we can reach you at about that time. And if you win, then we call you, and then you get to play on the air with the puzzle editor of The New York Times. And he is WEEKEND EDITION's puzzle master Will Shortz. Thanks so much, Will.